A quality fertilizing program for your lawn is one of the major factors, along with proper irrigation and mowing that contribute to a high quality lawn. 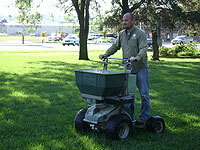 Our fertilizing programs will help keep your lawn lush green, weed free, and healthy. One of our most common programs is our 5-step fertilizing program which is designed to apply fertilizer and weed control at the critical times of the year. 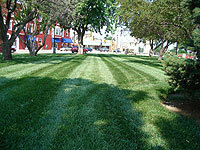 Each application is designed to further enhance the health of your lawn. Click here for a description of our 5-step program with grub control.